Chia seeds provide the essential omega 3 & 6 oils. Chia seeds are 30% oil, of which 30% is omega 3 and 40% is omega 6, and have a long shelf life. They also have approximately two times the protein concentration and up to ten times the oil concentration of other grains, and are digestible without grinding. Other seeds with harder shells, such as flax seeds, require grinding to make them digestible and have a very short shelf life in the ground form. Chia seeds are small and have the unique feature of a shell that turns gelatinous (mucilaginous) when it gets wet. This gel is thought to create a barrier in the stomach between the carbohydrates and digestive enzymes - slowing the breakdown of carbos into sugar and prolonging endurance. The seed can absorb more than 10 times its weight in water which can prolong hydration and retain electrolytes in body fluids. The name, chia, is Maya for strength or strengthening. Our seeds are edible. Mix with 10 parts water and wait for 10 minutes. They will form a gel that can be mixed with foods such as mayonnaise, sauces, jams, etc. Use your imagination and try it with a 50-50 ratio. They can be planted in dirt to grow. Store in a cool, dry place. ADDITIONAL FACTS: For centuries Chia was of great economic importance to Native Americans of the Southwest and California coast. 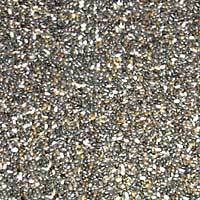 The parched seeds of the Chia were ground to make the staple flour, pinole. Indians also placed the seeds in water to make mucilaginous poultices and beverages. One tablespoon of chia seeds mixed in water was reputed to be sufficient nutrition to sustain for 24 hours, an Indian on a forced march. This cooling drink was also famous for assuaging a desperate thirst. An infusion of the seeds was valued by Spanish Missionaries as a fever remedy and as a poultice for gunshot wounds. Chia is grown in the Southwestern deserts of southern California, Nevada, Arizona and northwestern Mexico. For an authoritative source on chia seeds, read "The Magic of Chia" by Jim Scheer.